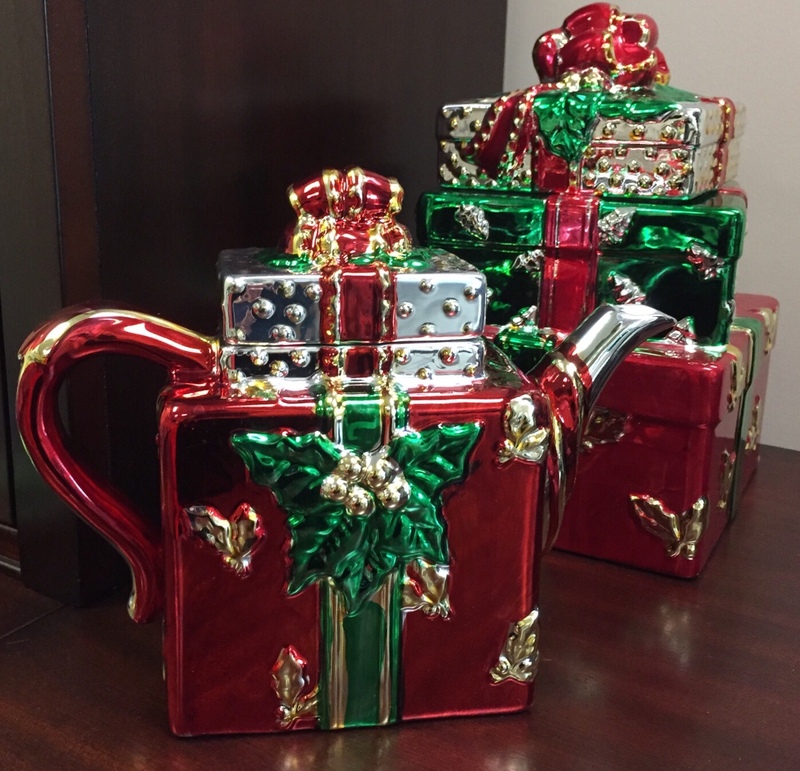 This Christmas teapot and cookie jar would fit right in with the other presents under the tree. The colorful, shiny metallic paint on the wrapping paper, ribbons, and bows add sparkle to the room each year. It’s fun to put out decorations that are pretty and practical. Keeping cookies fresh is an important job. Not that they ever stay around long enough to get stale. Lovely teapot & cookie jar! Merry Christmas to you too!